Acxiom has successfully completed the sale of its Acxiom Marketing Solutions (AMS) business to The Interpublic Group of Companies (IPG) for US$2.3 billion. The company also announced that it has changed its name to LiveRamp Holdings, as of market close. Beginning 2 October, common company stock will trade under the ticker symbol “RAMP” on the New York Stock Exchange. LiveRamp is headquartered in San Francisco, California and has approximately 750 employees worldwide. The next few quarters will be a transition period. Legacy compensation plans and benefits programs will be terminated or modified to better reflect LiveRamp’s needs and competitive environment. In addition, several transitional service arrangements will be in place with IPG. Roy Morgan has taken the wrappers off the next generation of its psychographic customer segmentation and data integration tool, Helix Personas, promising clients a stronger way to boost their marketing return-on-investment. The next generation of Helix Personas reveals the story of every Australian at an intimate, granular level and divides Australians into 54 unique mindsets, or personas, grouped into six communities. Based on thousands of psychographic and behavioural data points, it is claimed Helix Personas is the world’s only psychographic segmentation and data integration platform that provides the building blocks capable of binding disparate data sets together. Roy Morgan chief digital officer, Howard Seccombe, said clients are well aware demographics are not enough to understand customers. Liferay has picked up a controlling interest in Triblio and reiterated its commitment to an ongoing strategic investment in growing Triblio’s account-based marketing (ABM) business. In a statement, the company said the investment allows Liferay to explore opportunities for its digital experience platform audience to further enhance and personalise the customer journey with account-specific content and messaging. In turn, Triblio will continue to focus on delivering long-term customer value and product innovation. Triblio will continue to operate as an independent entity led by CEO, Andre Yee. Financial terms were not disclosed. Adobe has unveiled new integrations and capabilities to linking addressable and linear TV planning and execution from its platform. A key integration is with Nielsen National TV Ratings, which will see Adobe Advertising Cloud TV continue to leverage the research firm's national TV audience measurement for TV ad decisioning, fuelling its linear TV planning and measurement capabilities. Using Nielsen’s National TV ratings data, buyers can plan, target and measure linear TV campaigns within Adobe Advertising Cloud using audiences defined by age and gender, as well as advertiser-defined audiences. Adobe Advertising Cloud TV customers can also leverage audience data from Experian’s ConsumerViewSM and Mosaic USA for planning and buying of linear TV. These solution sets help marketers better understand demographics, income, purchase history and behavioural preferences in order to make the right marketing decisions and better connect with people. Adobe Advertising Cloud TV is also now integrated with Nielsen Catalina Solutions (NCS) to enable buyers to plan and target against the actual purchase behaviour of over 90 million households. Thunder Experience Cloud and LiveRamp have struck a partnership to enable people-based marketing in three key areas: Targeting, measurement and personalisation. The partnership aims to provide marketers with a more holistic view of their customers by giving them the ability to track ad exposure and conversion across devices directly to people-based IDs in a privacy-conscious manner, rather than relying on less accurate identifiers such as Cookie IDs or third party measurement providers. LiveRamp customers utilise IdentityLinkTM, its identity resolution service, to create an omnichannel view of the consumer. Now, with the addition of Thunder's people-based dynamic ad server, ads can be dynamically personalised and measured in real-time. 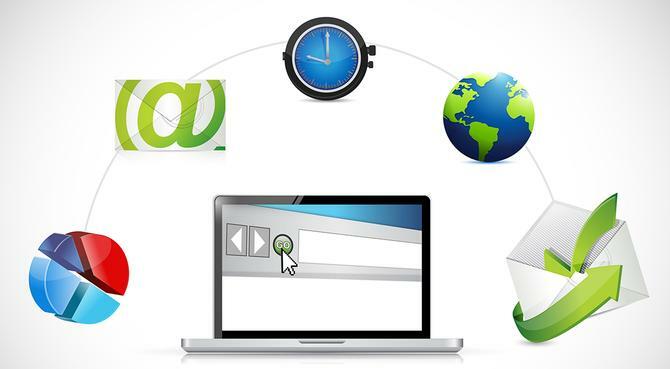 LiveRamp also this week announced extended availability of its AbiliTec offline identity resolution platform via martech ecosystem partners. The addition of AbiliTec to LiveRamp’s IdentityLink aims to ensure all players in the ecosystem can create exceptional experiences for their customers. With the incorporation of AbiliTec into IdentityLink, companies that are building in-demand products that connect different data sets, such as customer data platforms (CDP), master data management platforms and enterprise data warehouses, can offload identity resolution to a trusted, proven partner. As a result, consumers can expect to have a more meaningful and seamless experience with the brands that they value and prefer. AbiliTec is able to resolve disparate personally identifiable information (PII) including name, address, email and phone number, to a single person, in a privacy-first manner, using machine learning algorithms and a patented identity resolution process. AbiliTec does this by applying a unique, persistent Privacy by Design (PbD) identifier to all customer records to create a people-based view of the customer with evidence-based IDs. This, in turn, enables the platform to provide an accurate representation of a brand’s customers and improve targeting accuracy at the personal level. Voogy has purchased IP and technographic data collector, Salestools. Financial terms of the acquisition were undisclosed. Voogy’s goal is to enable customers to automate, process, curate and present sales prospect data on-demand and in real-time. With the launch of its new 'Intent Driven Marketing Automation' platform, Voogy aims to revolutionise how companies acquire new marketing qualified leads, by automation. Salestools information will now be added into Voogy's platform in order to be able to supplement company and contact information with real-time alerts, enabling sales and marketing professionals to sell based on customer technology decisions, visitor locations and company names. Also on the partnership trail this week was Ytel, which has joined forces with SugarCRM and global reseller, Faye Business Systems Group (FayeBSG). The new Ytel-SugarCRM SMS integration aims to allow the CRM platform's customers to use SMS as a core avenue to engage with prospects and customers. SugarCRM users can now send one to one SMS messages to a lead or create a contact list "on the fly" and have conversations over text without leaving the CRM. It also will provide marketers the ability to send targeted messages in bulk as a part of campaigns and workflows. Demandbase has expanded its collaboration with Salesforce Pardot to provide B2B marketers with a more efficient, integrated ABM experience. The new product integration will allow B2B marketers to access Demandbase’s anonymous website engagement and intent data within Salesforce Pardot and Sales Cloud. Marketing and sales teams can use this data to get a more complete view of each customer and prospect account or enable more informed segmentation for use in Pardot campaigns. For the first time, Salesforce Pardot users will be able to leverage Demandbase’s Artificial Intelligence-enabled account-level data to identify high-value accounts in real time and build actionable segments. This integration will also combine Demandbase’s anonymous website engagement data with pipeline, opportunity, campaign and other CRM and Pardot data to surface intent insights within Pardot’s B2B Marketing Analytics.